Learning how to use financial tools that we use on a daily basis is very important, even more so when you’re deciding between buying life insurance or increasing your savings — or whether you need to choose between the two at all. Personal finance is never one-size-fits-all, so it’s no surprise that this is a commonly asked question. So, let’s break it down. What’s the True Purpose Of Life Insurance? Death Benefit: This is the amount of coverage you purchase when you buy a life insurance policy. It will pay out to your beneficiary if you pass away. Beneficiaries: These are the people that you leave your money to if you pass away, like a parent, spouse, or kids. With life insurance, if you were to pass away, the policy would pay out a death benefit to your named beneficiaries. This death benefit can be used to pay any of your final expenses and more, like replace the income your family would lose from you passing away. It’s true that crowdfunding campaigns, like those on GoFundMe, are becoming more popular to help with memorial costs. But there’s no guarantee that your family and friends will be able to raise enough to pay all of your final expenses. In 2017, the average cost of a funeral was $7,360 and it’s expected to continue to rise. Life insurance was created specifically to pay such expenses and help your loved ones financially while they mourn your loss. Below is a quick layout of the different benefits of a life insurance policy and a savings account. As stated above, your family is going to need at least $7,000 to bury you. Now, if you didn’t gasp at that number, then continue reading to understand why you should be concerned. The median savings account balance across American households is only $4,830, but according to a recent study conducted by the Federal Reserve, 40% of adults wouldn’t be able to cover an unexpected $400 expense. While we all might be able to keep up with our cell phone bill, Netflix, and Amazon Prime accounts, it looks like a tire to blow out, a trip to the vet, or a root canal would put most of us in financial trouble. What About Cash Value Life Insurance? There are two main types of life insurance: term life and whole life. You might be asking, what is cash value life insurance? It’s just another name for whole life insurance. Whenever you make a payment on your whole life policy, a percentage of the payment goes toward the cash value account of the whole life policy that you can access. It is easy to think of whole life insurance as a savings account hybrid. However, whole life insurance policies are much more expensive on a monthly basis, and there are fees associated with withdrawing your cash value too soon and with paying back the money you took out of the policy. It isn’t recommended to treat life insurance as an investment. If you do want to invest, then you should speak with a financial planner who can assess your needs and point you in the right direction. If you still prefer the cash value portion of whole life insurance but don’t want such a high monthly premium or fees, then an alternative is a return of premium life insurance policy. The closest option you have to get a savings account attached to a life insurance policy is what is known as a return of premium term life insurance policy. A return of premium (ROP) life insurance policy works exactly like a traditional term life insurance policy except for one significant difference: If you outlive the policy, all the premiums that you paid into the policy will be returned to you in a lump-sum check. However, this also makes it much more expensive than a typical term life insurance policy. This concept is also known as forced savings and is an option to entertain if you want the best of both worlds. For example: Let’s say you have a 20-year, $300,000 return of premium term life policy that costs you $80 per month. If you pass away before the 20-year term is up, your policy would pay out the full death benefit of $300,000 to your beneficiaries. However, if you outlive the 20-year term and the policy comes to an end, you would receive a lump sum check for $19,200 — the premiums you paid in that 20-year period. As you can see, if you can afford it, a ROP policy is usually the best product when thinking of alternatives. 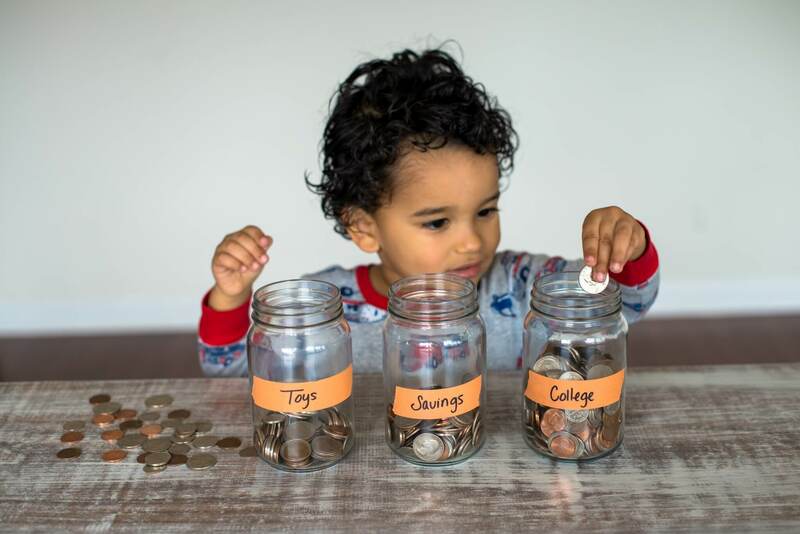 Savings accounts are great financial tools for everyone to have. If you have saved up enough money to pay for your final expenses, congratulations. That’s a rare feat. For the rest of us, with the way we spend and save, it is almost impossible for the average person to save up enough money to cover their final expenses if they pass away. Even if you do, there isn’t any guarantee your family will be able to access the savings immediately. With a variety of terms and amounts of coverage, life insurance is a great affordable way to pay for memorial expenses and more — and protect your loved ones’ pocketbooks, too.